The Buddhist Relief Mission's Second Annual Intensive English Course at Buddhist Publication Society, Kandy, ended on January 25th in a blaze of glory! The students received certificates attesting to the fact that they had successfully completed 90 hours of English study. Special guests at the closing ceremony were the cooks and wrappers who had prepared lunch packets for the monks almost every day of the fifteen-day course. We were also delighted to have an old friend from our days in Japan there. Jason flew in from Bangkok at midnight and arrived at our door around 3:30 in the morning. With almost no sleep, he joined us for the last day. During the concluding formalities, several monks gave touching speeches thanking not only the teachers but also the donors and the workers who had provided regular lunches, with ample rice, rich curries, salads, and crispy papadams. Because the monks were able to eat in the class hall, they did not have to walk back and forth for lunch every day to the Burmese Rest. This meant that they had much more time and energy to concentrate on their studies. Thanks was also expressed to Buddhist Publication Society which kindly provided the hall for the classes. This year the course was opened to a limited number of Sri Lankan monks, and their participation added a valuable dimension to the classes. The final afternoon's program included two radio plays, "A Log Pays a Better Return" (Saccankira Jataka), performed by Delta Class, and "The King's Officer" (Gamani-Canda Jataka), performed by Omega Class. Both classes had been rehearsing their parts for about a week, and the hard work paid off. We think you will agree that the final performances, with sound effects, were clear and dramatic. Click the image to see all the donation boards. Buddhist Relief Mission wishes to thank the donors for their generous gifts. The contributions we received completely covered the cost of not only the daily lunches, but also fruit juice in the afternoon, all the school supplies, the paper and ink for copies, and all transportation fees. 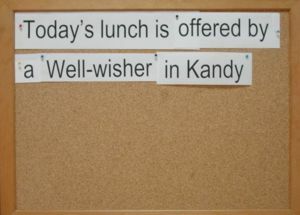 Click the image above to see more photos of lunch prepararation. Except for two days, all the cooking was done at our house. The team of dedicated cooks began by cleaning and chopping vegetables in the evening. 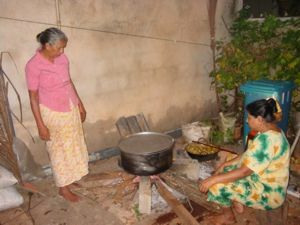 Then, after a few hours sleep, they got up to prepare the curries and to cook rice in a gigantic pot over a wood fire in a sheltered courtyard beside the house. Unfortunately, that courtyard is right outside our bedroom window. The smoke was so thick, especially after the erection of a temporary roof to permit cooking in the rain, that we abandoned our bedroom and shifted into the guestroom. That meant that the visiting teachers had to sleep in the library. Fortunately, we have a comfortable cot for that room, which became the favorite spot for our gray cat Nezumi (who doesn't know her name means mouse!). Poor Nezumi! Her well-regulated life was thoroughly disrupted by the intensive course. Normally, she patrols around the compound during the day and stays inside all night. With the kitchen door open most of the night, fires blazing outside, and women sleeping on mats in HER living room, she was most upset. When we got up at six o'clock, she immediately jumped on our laps and craved affection. The visiting teachers petted her and played with her, but everyone was too busy to give her the time she felt she deserved. 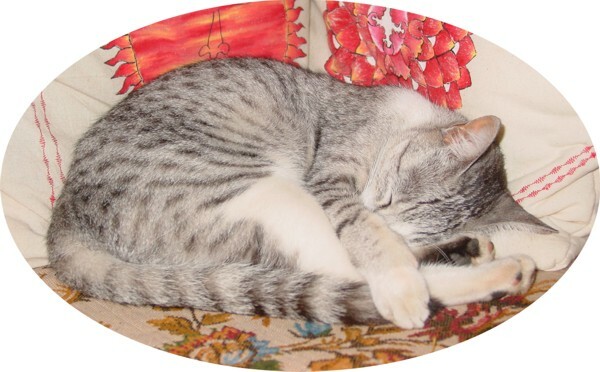 One night, to get some attention, she came in through the library window and tried to give Lal the gift of a live field mouse as he was going to bed. Click the image to see photos of the classes. From last year's staff, Ken, Visakha, Lal, and Lalitha soldiered on, but we were joined this year by Dushy, who, three years ago, had taught a full month in Kolkata, and, at Dushy's introduction, by Heshan, who had been her student at Colombo University. Thus, the students had six experienced and devoted teachers with varied methods, emphases, and approaches to English. (Venerable Upatissa visited one day and taught part of one of Lal's classes as well.) The student feedback we collected at the end was extremely positive about all of the lessons and included the suggestion that the course be even longer next year. After the closing ceremony, we pointed out that, by calling it the Second Annual Course, we have committed ourselves to it for the rest of our lives, and Lalthia calmly replied, "Yes, I guess we have!" There are worse fates! Click the image to see photos of the field trips. This year we scheduled three field trips, which were blessed with perfect weather. 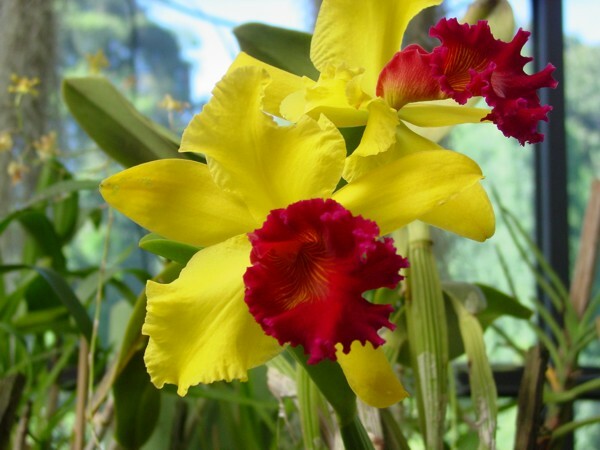 One day was spent entirely in Peradeniya, the morning at the magnificent Royal Botanic Gardens, and the afternoon at the University, which is conveniently adjacent to the gardens. For the latter, we had prepared a map on which the students had to identify important buildings and locations. It was quite a challenge for them to fill in the map as they wandered the vast, beautiful campus. Since that visit took place on a national holiday, the University Library (the finest in the country) was closed. Therefore, the students made another trip to Peradeniya, for which Ven. Manita arranged official permission to tour the library. On another day, Lal accompanied all the students to the Dalada Maligawa, the Temple of the Tooth, which is the most revered place in Kandy. Clck the image to see photos of the monks playing. An informal activity that gave us great satisfaction occurred every day during the rest period after lunch. 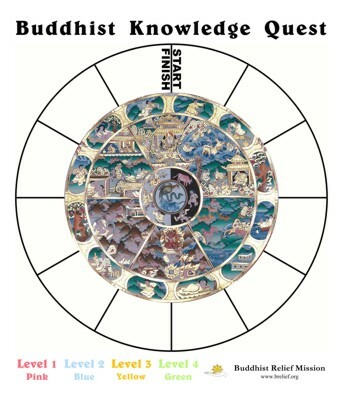 We kept two sets of Buddhist Knowledge Quest in the hall for the monks to use. A group of players put mats down in the middle of the room, laid out the questions, chose their markers, and played cheerfully. They made steady progress and advanced to Level 4. Play continued right up to the last day. One young monk with a competitive streak spent several hours on his own memorizing the answers in English, ensuring that he would emerge the champion. It seems the game has proven most popular with Burmese monks who need the English and American prison inmates who need the Dhamma lessons! 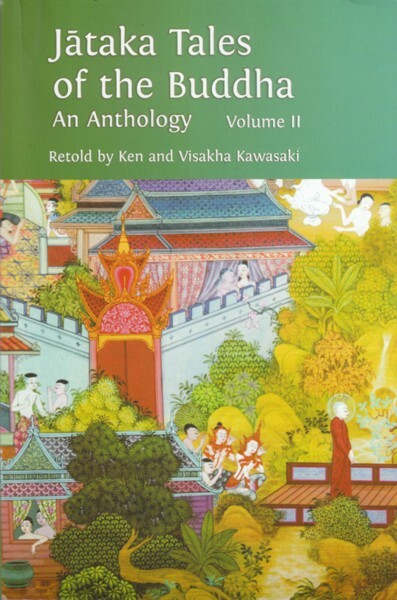 One day, in the middle of the course, Mr. Weerasinghe, the Administrative Secretary of BPS informed us that the printer had delivered dummy copies of the first two volumes of Jataka Tales of the Buddha: An Anthology, the book for which we have been waiting these many months. We actually held these copies in our hands. It was thrilling! The covers, designed by Venerable Nyanatusita, the Editor, are beautiful. Although there may be a few wrinkles yet to be ironed out, and Volume III has not yet been returned, we will certainly let everyone know just as soon as they are finished. They will be available either as individual books or as a boxed set. Our classes were scheduled well before the President declared an election; fortunately we finished up the day before the polls opened. We were so busy that we had no time to follow political developments in the country, but we were affected. Two guest teachers from Scotland who had offered to hold a special session with our students made it all the way to Kandy only to get stopped by a huge rally that completely blocked the only road into the city. They were terribly disappointed, but there was nothing to do for it. We gave them directions to our house and finally met them there for tea, cakes, and a quiet chat. Although there was some tension before the election, we must say that Kandy remained as peaceful and civil as always. Sri Lankans have our sincere respect. It seems that over 70% of the voters cast their ballots. In fact, we were told that the turnout in our neighborhood was closer to 90%. Irrespective of the outcome, many westerners, who take their franchise rather casually, have to feel reproached by the seriousness Sri Lankans show towards their democracy. 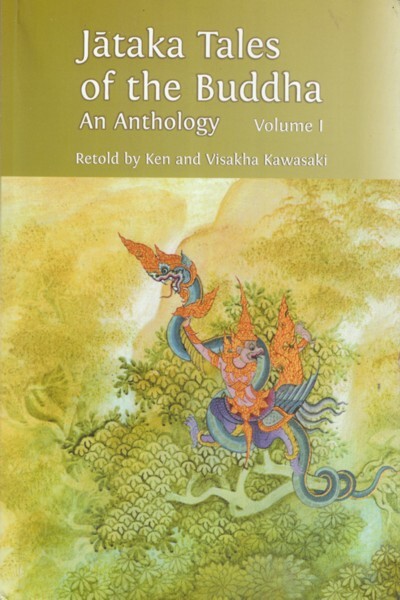 In addition to Merit, the Buddhist ESL text we are writing, and the two Jataka tales, we used the same controlled composition material that has proven so successful elsewhere. This batch of students took to it immediately and, in the fifteen days, some got as far as Step 6 of 10 Steps, all done outside of class time. Some of them had no sooner arrived in Colombo than we began receiving their assigned lessons by email. It will certainly not be long until many of them advance to the intermediate program, 26 Steps. Such progress and eagerness to study is a teacher's greatest reward, and we count ourselves the luckiest teachers in the world to have these monks as our students. Is it too early to invite teachers to mark their calendars for January next year for the Third Annual Intensive? If you can come, you won't be sorry!